Members of the Standing Committee of the CIS Interparliamentary Assembly on Science and Education attended the National Technical University of Ukraine "Kyiv Polytechnic Institute" on Friday, April 29 - press-service of "KPI". The delegation consisted of representatives of the supreme legislative bodies of the Azerbaijan Republic, the Republic of Armenia, Kazakhstan, Russian Federation, Tajikistan, Ukraine and of experts on science and education. 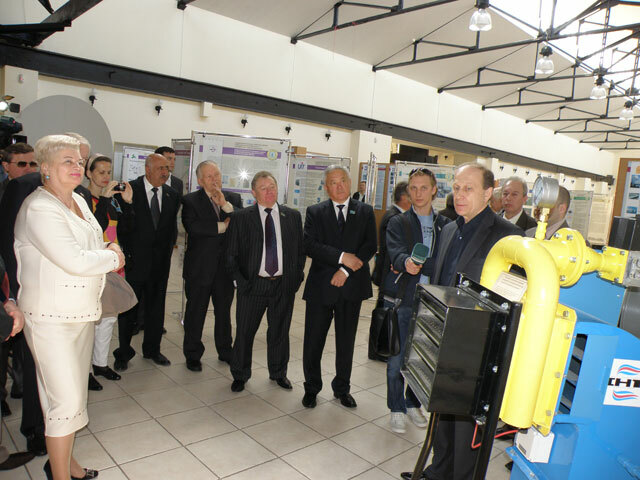 During the meeting with heads and employees of the University lawmakers got acquainted with educational and scientific activities, visited the State Polytechnic Museum of Ukraine at NTU "KPI", Scientific Park "Kyiv Polytechnic" and the World Data Center for Geoinformatics and Sustainable Development.